Any time you would like a custom version of an AutoCAD command, you can create a toolbar button for it. It’s very easy to do and will greatly enhance your ease of work and efficiency.Let’s say that you often fillet multiple sets of lines and want to make the mUltiple option the default. 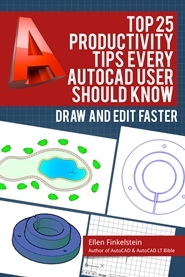 Back up your AutoCAD menu files. To find these files, start the OPTIONS command and click the Files tab. Double-click the Menu, Help, and Miscellaneous File Names item to find the location. Click New. Name your toolbar (something short and simple) and click OK. You now see a small toolbar on the screen. Usually, you can start from an existing toolbar button. Press and hold down the Ctrl key and drag any button to the new toolbar. (Holding down Ctrl copies the button instead of moving it.) You can also click the Commands tab of the Customize dialog box and choose a command from the list. To start from scratch, choose User Defined from the Categories list and then drag the User Defined Button to your new toolbar. Click the button to display its properties. In the Macro Associated with This Button box, enter the macro. Most macros start with ^C^C to cancel any existing command. For information on macro format, go to Tutorial: Create a Custom Command. Click Apply, then click Close to close the Customization dialog box. Try out your new button. If you need to edit it, re-open the Customization dialog box and click the button to display its macro. How can I make custom Icon for my Toolbar Menus in autocad? How can I make customize Icon for my Toolbar Menus in autocad 2006? Go to https://allaboutcad.com/creating-custom-toolbar-buttons/. That tip also has a link for 2006 and later. Is there a way to give a toolbar button either a ‘depressed’ or ‘gray’ appearance when turned on or off? I have a customized menu in AutoCAD 2000 where I add two custom menu to the default autocad 2000 menu.My original Lisps in 2000 works also in 2012 via LOAD Application. My previous menu loads my lisps commands. Now I am using acad 2012, how to add my two v2000 menu to autocad v2012? or create a separate toolbar menu?. Also how do I edit the autocad 2012 default short cut command, eg from “C=Circle” to “C=Copy” etc… or add in additional custom commands? I just received ACADLT 2014 and I am switching from 2005. I am trying to use the classic version and custom make my templates to look like the old program. I have made three new templates where I copied commands in the same order I had on 2005. The problem is that after finishing the button images do not show. If I am in the CUI I can see all images but they did not transfer to my templates. Can you please what should I do ? Thanks much. 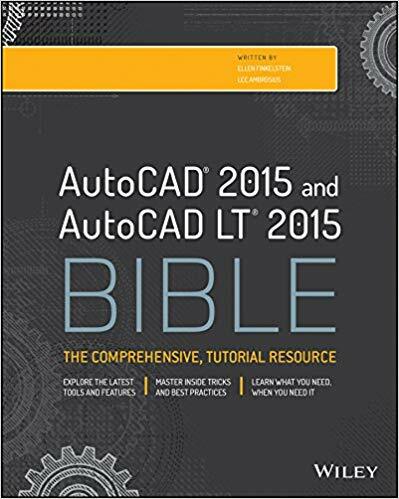 I just received AUTO CAD 2015. In this I am making drawing but in this main menu bar is not coming like (Home, Inset, Annotate, parametric, etc…). Please can you suggest me how to do for this. copy this portion to the clipboard. Open up the ACAD.MNU file in your text editor. when you recompile the ACAD.MNU. toolbars into the ACAD.MNU save the file, and exit. After I initially commented I clicked the -Notify me when new comments are added- checkbox and now every time a remark is added I get 4 emails with the identical comment. Is there any approach you may remove me from that service? Thanks! I started using ACAD with a tablet. It had angular macros in the tablet menu section (<<90-<<45- etc). When i got rid of my tablet, I added toolbar buttons with the same macros. They work fine. With ACAD2012, I tried to make ribbon buttons for the same macros. They do not work, Any help would be appreciated. Hello, so I have this perfectly optimized toolbar(s) for AutoCad 2002 that was created using icontools. Has anyone ever been able to add an icon tool workspace to AutoCad 2014?